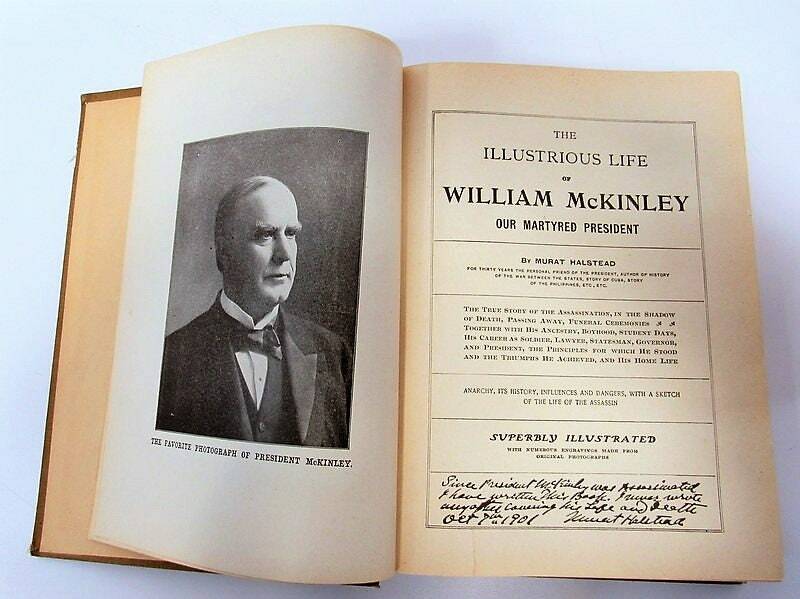 Wonderfully-illustrated antique book The Illustrious Life of William McKinley, Our Martyred President. 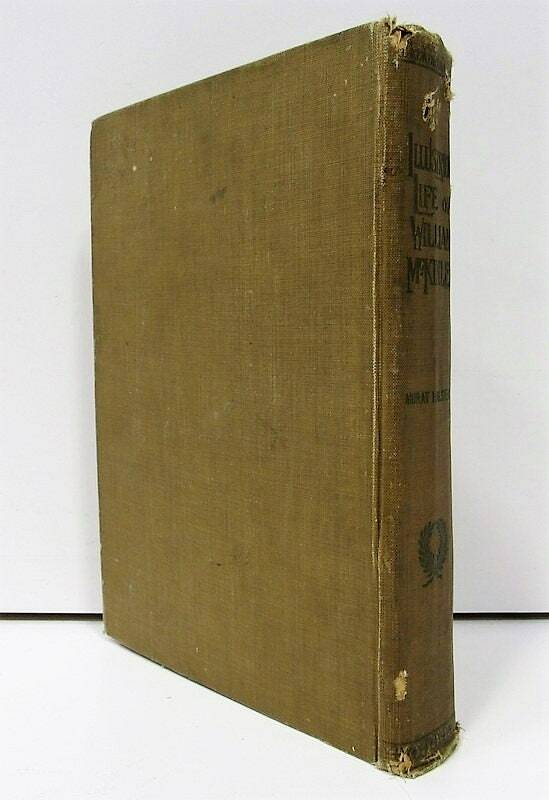 Spine and cover wear, O/W pages. 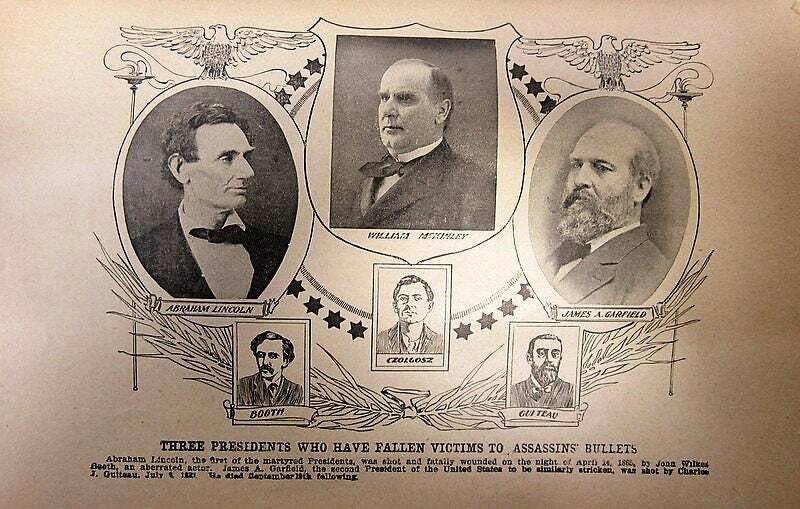 Beautiful plates including prints of a young Abraham Lincoln, Ulysses S. Grant, and of course President McKinley (the three U.S. Presidents to have been slain by an assassin's bullet). This is a fascinating, possibly self-published, book by Murat Halstead (there is no noted publisher). 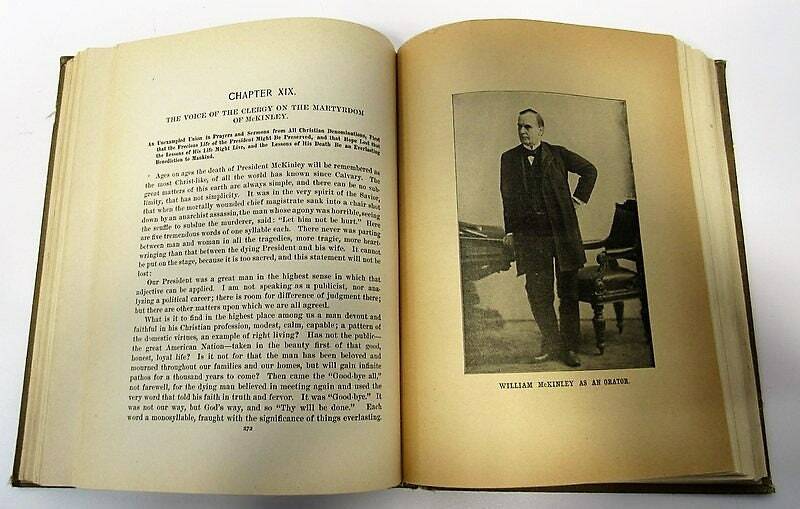 Halstead notes in his introduction he was for "thirty years the personal friend of the President." 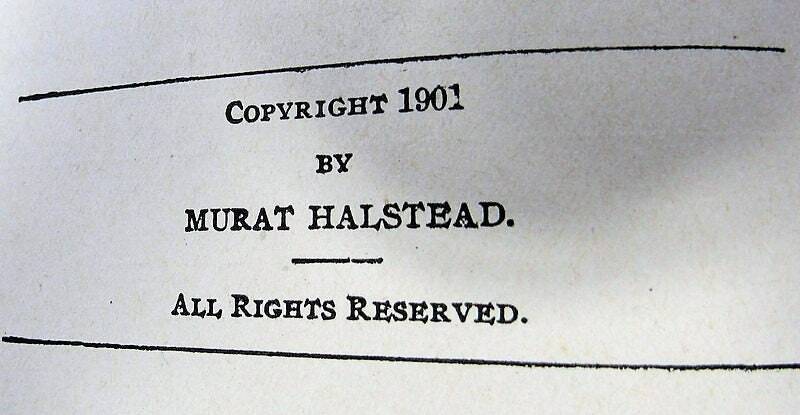 The author, Murat Halstead (September 2, 1829 – July 2, 1908), was an American newspaper editor and magazine writer, and war correspondent during three wars (the American Civil War, the Franco-Prussion War, and the Spanish-American War). 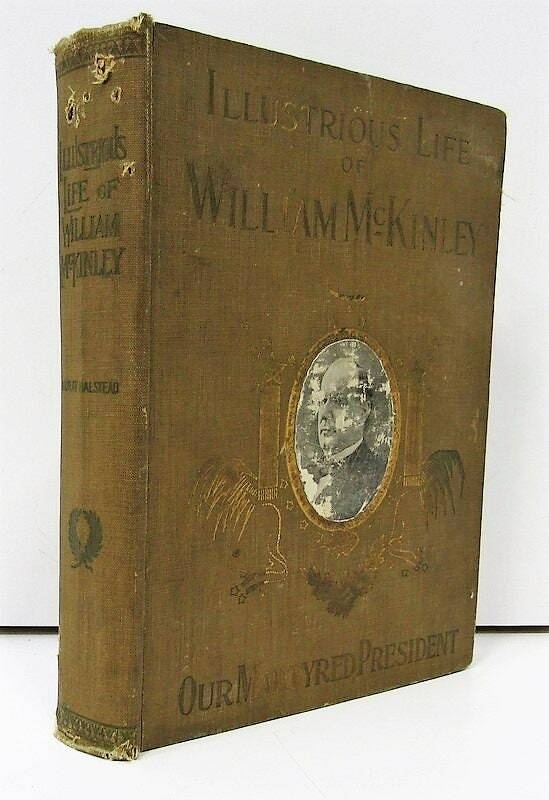 We also have a set of fascinating stereoscopes of the McKinley White House, his swearing in, and his funeral.